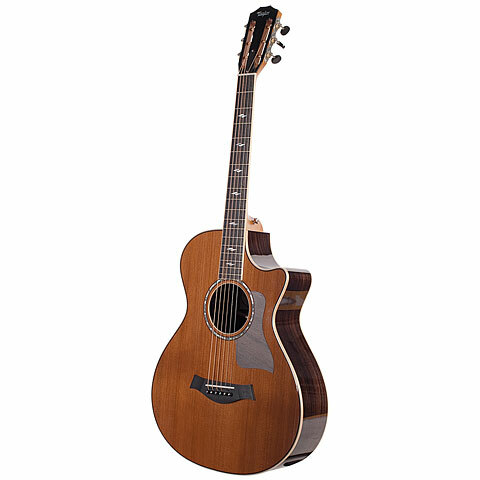 The flagship series of Taylor's acoustic/electric line traces back to Bob Taylor’s first rosewood guitars, which helped establish a modern acoustic guitar sound. Contemporary appointments include curly maple binding and a pearl inlay on the ebony fretboards, which together add a splash of refined style. Back and sides are made of indian rosewood, the top consists of sitka spruce, with western red cedar or Engelmann spruce as options. · Show all articles of the brand Taylor.